An ATR 72-600 turboprop aircraft will embark on a demo-tour of the United States and Canada from May 2nd to May 13th. This will be the very first time the newest ATR -600 series aircraft will be flying in demonstrations in North America, doing stops in Toronto, Chicago, White Plains, Hyannis, Washington D.C., Charlotte, Dallas, Seattle and Cincinnati. The aircraft will also be featured on static display at the Regional Airline Association (RAA) convention in Charlotte from May 8th to 10th. Over 400 regional routes have been cancelled across the US since 2006. As of today, some 2,000 regional aircraft operate in the US, mainly regional jets. Over 30% of the routes operated by regional jets in the US are below 300 miles, a range where the operating costs and fuel-efficiency of the newest generation ATR -600s are unrivalled. For the flight campaign, the aircraft will be showcased to highlight the many advantages it can bring to regional aviation in the US and Canada. These include cost savings, modern passenger experience, leading-edge navigation technologies and operational versatility. The modern ATR aircraft offers unbeatable eco-efficiency aiming to meet the strictest environmental challenges. 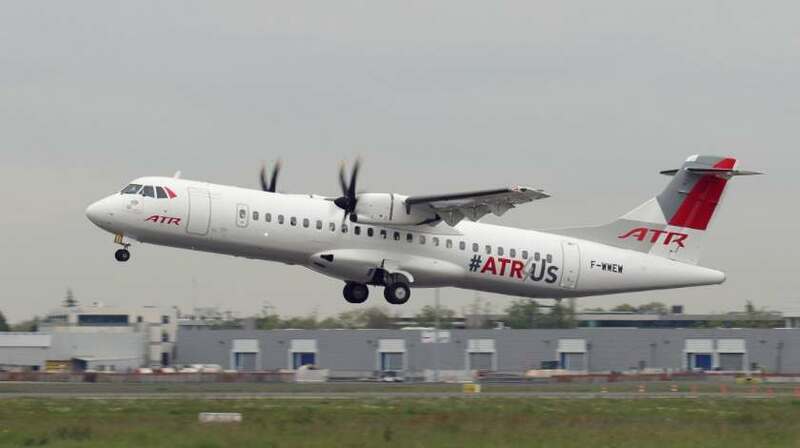 According to Patrick de Castelbajac, ATR’s Chief Executive Officer, “The ATR 72-600, which is known as the undisputed world leader of regional aircraft, perfectly aligns with the operational needs of airlines operating short-haul flights in North America”. He added, “The fuel and cost-efficient ATR ‘-600 series’ can strongly contribute to restoring regional air connectivity to many communities that have experienced reductions in air service over the last decade. All while providing regional airlines with the most efficient aircraft for short-haul flights and allowing them to significantly upgrade the product offer to their customers”. The ATR 72-600 is the best-selling regional aircraft worldwide in the below-90-seats category. There is a particular interest for the US and the Canadian market due to the replacement potential for some of the ageing regional aircraft fleets operating in both countries. The ATR ‘-600 series’ also offers substantially increased efficiency on many regional routes currently operated by regional jets and former generation turboprop aircraft.